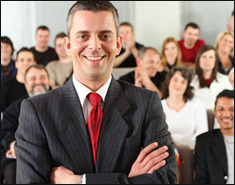 Founded in 2006, Teleradiology Specialists has shown consistent and steady growth. Founding Radiologist David Cohen has been practicing Teleradiology for 10 years. As former Chief Radiologist and Medical Director for one of the nation’s largest Teleradiology Groups, Dr. Cohen’s experience and expertise set the foundation for Teleradiology Specialists. Our Group of Physicians and supporting staff are dedicated to providing the best in Teleradiology service. As opposed to larger “corporate” Teleradiology companies, we emphasize personalized service which is priced very competitively. We take great pride in establishing long term relationships with the facilities we serve and their referring Physicians. 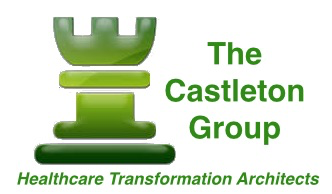 The Castleton Group is made up of healthcare and information technology experts with lifetimes in creating systems that change the status quo.​ We understand the stakeholder challenges of reinventing how healthcare is delivered, accessed, and receive by patients. We help our clients meet these challenges by designing customized solutions incorporating proven best practices they can immediately implement. Our solutions share a common thread. They depend on a visual collaboration and data sharing platform that enables doctors, nurses, caregivers, and patients to exchange actionable information wherever the time and place of need. CardioRad provides comprehensive outreach imaging, specialty care and remote consults to improve profitability and the delivery of healthcare for a broad range of healthcare providers across the nation. Our dedicated Cedars-Sinai affiliated imaging Cardiologists work alongside a network of specialists, including Radiologists and Neurologists, to provide imaging for patients in their physician’s office. OmniMD’s electronic health record (EHR) has everything you need to automate your practice workflow. It’s more than an EMR software company. OmniEHR™ is a fully integrated EHR solution that is 2011 CCHIT® certified for Ambulatory EHR, with a five-star usability rating, and an ONC-ATCB certified complete EHR (2011-2012). It was built with cloud-computing technology so it provides instant updates, reliable access and the ability to connect online to labs, pharmacies and hospitals for less cost than hardware-based systems. SaferMD, LLC is a patient safety auditing and monitoring company. Their first safety metric measures healthcare providers’ use of Critical Test Results Management (CTRM) systems to communicate reportable results of diagnostic tests. Their aim is to make medical test result communications faster and more reliable. As a vendor neutral auditor, they monitor and benchmark test result notification activity and provide expertise in test result communication system implementation, policy and procedure. SaferMD provides facilities with credible evidence of meaningful risk reduction that can earn safety credits of 15-20% from malpractice insurers. Healthcare organizations can also use their reports to defend against compliance penalties and take advantage of SaferMD malpractice insurance discounts. Computer Blue Technologies is an information technology consulting firm created to give small businesses access to the IT services used by large corporations at a price they can afford. Having over 75 years combined experience as IT experts providing information technology consulting services in corporate America, the partners of Computer Blue Technologies formed the company to bring their level of expertise to small business clients via managed IT services. Creative marketing expert who helps clients like ours create or enhance their branding, hone their sales tools and craft marketing campaigns to dramatically increase revenues. We have partnered with Life Science Quest, a marketing and business development firm with extensive connections to life science companies and also connections to Chinese investment firms with strong interest in emerging healthcare technology companies. Through their unique platform and high quality services, Life Science Quest promotes innovative technology, unlocks global market potential and empowers overall business growth for bio pharmaceutical, medical device and other life science ventures. For more information visit their web site.